For the sake of clarity, the SPRING show is now extended for an extra week, so you now have until March 26th (usual gallery opening times), never mind the weather, SPRING IS A STATE OF MIND…. 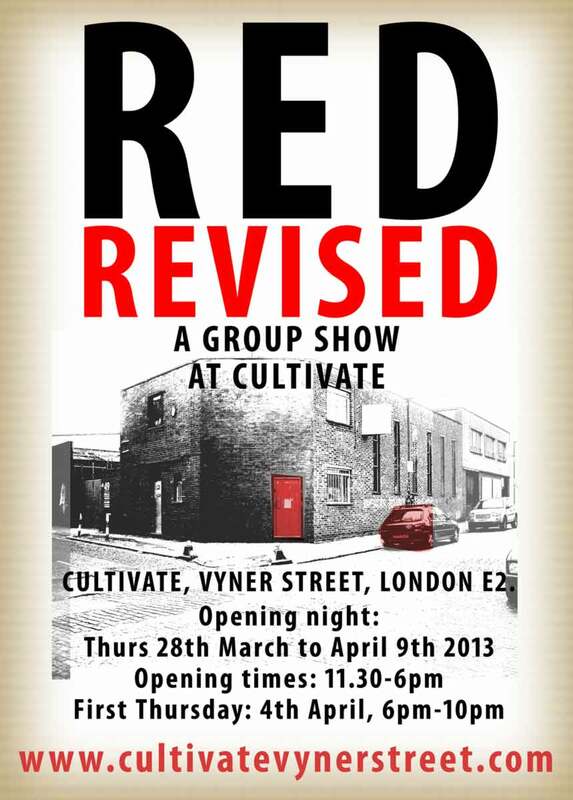 The next show at Cultivate will be our RED REVISED show, press release and more details here. There us still time for you artists to get involved, the show is almost full now, but there is time….